In some cases, a keyboard alone just won’t cut it for gaming. This could be either due to a lack of comfort or functionality, but whatever the case, there’s a solution: gaming keypads! These handy little peripherals are one of those things that you’d never think you need until you actually tried them out, especially if you’re into MOBAs and/or MMOs. Whereas what we usually refer to as a keypad is simply a separate number pad intended to complement the more compact tenkeyless keyboards which don’t actually have a number pad, a gaming keypad is designed to be ergonomic and functional for use in games. If you’re ready to streamline your gaming experience with a highly comfortable and versatile gaming keypad, read on, as we take a look at some of the best gaming keypads for 2019. The very first product on the list comes from none other than Razer, a name that you’ve undoubtedly heard often even if you’ve never owned any of their products. Sure, they get a lot of flak for their overinflated prices, but there’s just no denying that their products almost always have both the build quality and the aesthetics covered. 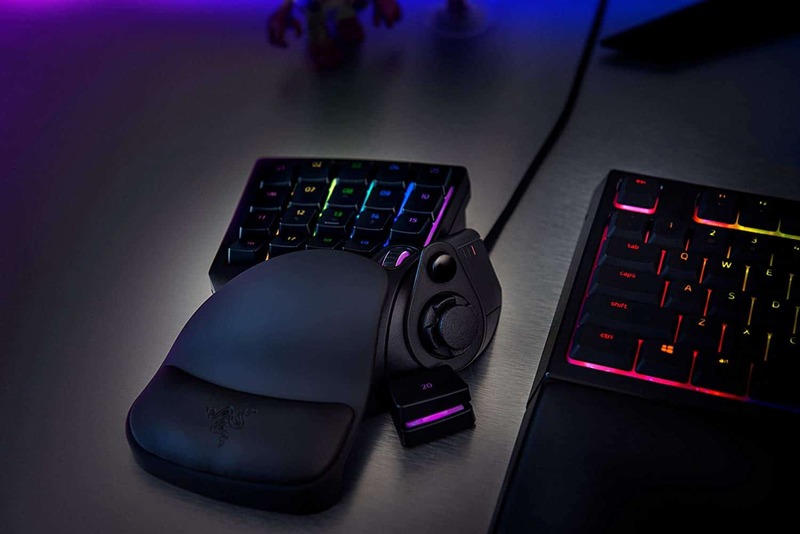 The Razer Tartarus V2 is pretty much what you’d expect to see in a Razer product if you’ve ever seen one since it is one versatile and sturdy keypad that comes complete with RGB lighting and an adjustable wrist rest. 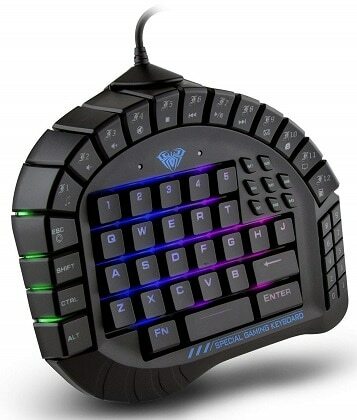 The Tartarus V2 comes with a total of 32 programmable keys and the face keys use Razer’s hybrid mecha-membrane switches, tempering the tactility and clickiness of mechanical switches with the affordability of regular membrane keys. It also features a scroll wheel and a thumbswitch, both of which contribute to the keypad’s versatility. Furthermore, the Razer Tartarus V2 is quite comfortable to use, featuring an adjustable ergonomic wrist rest, complete with a leather cushion. And of course, as is the tradition with Razer products, it includes high-quality Chroma RGB lighting. The main issue with the Tartarus V2 is the usual gripe that many have with Razer product in general, and the one which we’ve already mentioned – the price. Frankly, you could get a full-sized mechanical keyboard for the price of this keypad, so the value may be a bit dubious for some people. Following up next, we have the Excalibur gaming keypad made by Aula. This keypad is bigger and combines a portion of the traditional QWERTY layout with an array of function keys and programmable macro keys, all the while boasting a detail-heavy design and an LED backlight. As you can see, the sheer number of keys included is what makes this keypad a viable substitute for a full-fledged keyboard when it comes to gaming, while the function keys give it some merit even for desktop use. The keys are also mechanical, using the clicky blue switches. When it comes to the design, this keypad definitely looks a bit too gaudy for its own good – very detailed and with some over-the-top fonts, plus there’s an LED backlight with a total of five presets. 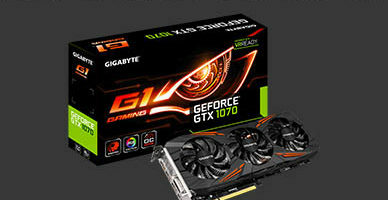 Note that the manufacturer markets the Excalibur as having RGB lighting, but that is simply not the case. The keypad is fairly comfortable to use, though the detachable wrist rest ends up being somewhat superficial since the sheer size of the keypad will require you to move your hand around a lot. Now, there are two main drawbacks to this product. First, it’s on the hefty side, so it may be a bit too big for comfort when it comes to people with smaller hands. More importantly, it is fairly pricey, especially for a product coming from a lesser-known brand and with no real RGB lighting. Other than that, it also only comes with blue switches, with some users may find a tad too loud. The next product that comes from Koolerton is a simple and straightforward solution, boasting a simple and clean exterior design with none of the bombasts of the Excalibur. This keypad also uses mechanical switches, has an LED backlight, and best of all – it is fully programmable. 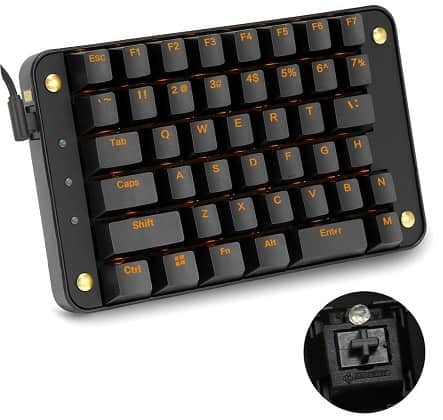 As mentioned above, all the 43 keys found in this keypad are fully programmable, and the keypad itself comes with onboard memory for storing profiles, which is definitely convenient if you plan on using the keypad on more than one computer. 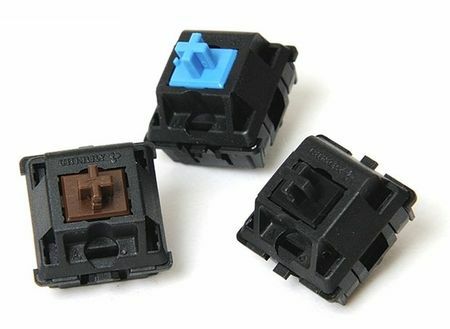 Moreover, it comes in several flavors when it comes to the switches: Cherry MX Black, Blue, Red, and Brown, so there’s something for everyone’s taste. Visually, it looks like your regular no-frills keyboard – well, a half of a no-frills keyboard. There is also a golden backlight, which is bright and looks good but is a bit limiting. Usually, we’d expect either RGB or at the very least, several color options so as to help the keypad fit in aesthetically with different setups. It should also be noted that, due to the simple and slim design, this keypad is very easy to transport. Apart from the hefty price, the only issue we have with this keypad is the aforementioned fixed backlight color i.e. gold. Granted, it looks good but is hardly a neutral color and you don’t often see this shade used in gaming products, so there might be some color clashes between it and other peripherals. GameSir is another lesser-known company that you might have already encountered if you were shopping for some affordable gaming peripherals and accessories. Today, we’ll be taking a look at their GK100 gaming keypad which offers surprisingly good value for your money. The GameSir GK100 is a bit more compact than the above gaming keypad from Koolerton, featuring 34 keys plus four macro keys on the side. The keys here are also mechanical, utilizing noisy and tactile blue switches. On the outside, the keypad looks very sleek, as you can see in the picture above. The plastic itself feels quite nice, it has a detachable wrist rest, and there is an LED backlight with 8 different presets. Granted, this keypad doesn’t have RGB lighting either, but considering how cheap it is despite utilizing mechanical switches, we can’t rightly hold this shortcoming against it. Since the GK100 comes only with blue switches, those who are used to other, quieter types of mechanical switches (or simply those used to membrane keyboards) may find it a bit distracting. Sadly, no alternatives are available, at least not yet. Moreover, the wrist rest isn’t quite stable and is made solely of plastic and lacks any sort of cushioning, which can ultimately make it uncomfortable to use for prolonged periods of time. And for the final entry, we have an even cheaper gaming keypad that sacrifices mechanical switches for the sake of offering more keys at a lower price point – the Delux T9. This keypad offers a total of 46 membrane keys organized in a symmetrical pattern, featuring a couple of extra function keys. The keypad also has a non-detachable wrist rest and the build is not quite as premium as what you’d get in a pricier keypad, but that’s only to be expected. The red highlights are there to establish the Delux T9 as a gaming product, while its rudimentary LED backlight with three presets is highly basic but gets the job done nonetheless. 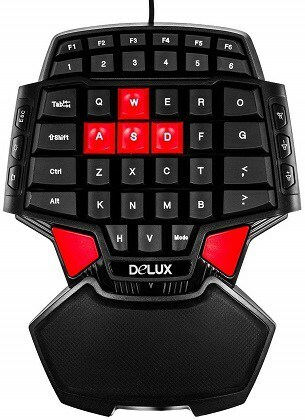 The Delux T9 is also fairly ergonomic, but like with the Aula Excalibur keypad, it is quite big, so those with smaller hands may find it a bit difficult to use. Apart from being on the hefty side, as mentioned above, this keypad’s primary drawback is the fact that it has no programmable keys. Needless to say, this is a big downside to the Delux T9 since programmable keys constitute a big part of a gaming keypad’s appeal. The first decision you’ll have to make when getting a keypad (or a keyboard, for that matter) is whether you should go with membrane or mechanical keys. Many would immediately claim that mechanical keyboards are superior in every conceivable way, but that’s not necessarily true. As always, there’s a good and a bad side to everything. Mechanical keys are faster to actuate since they don’t need to be pressed all the way down to register a keystroke, which makes them much more pleasant to use both when it comes to both typing and gaming. Most switches also provide neat tactile feedback which lets you know when a keystroke has registered. On the downside, some types of switches can be quite loud and most importantly, they usually drive the price of a keypad/keyboard up quite a bit. Membrane keys don’t involve any sort of mechanism, as they are simply keycaps resting on top of a rubber dome that collapses once enough force is applied. The primary advantage of the membrane is that it’s quite cheap to manufacture, especially compared to mechanical switches. They are also quieter and feel ‘softer’, though most people prefer the clickiness, tactility, and responsiveness of mechanical keys. In the end, it is best to let your budget dictate which type of keypad you will get. True, mechanical keys are more responsive and generally feel better, but unless you have the money to spare, it’s better to just go with the more affordable variant. Next, you need to consider what games you will be using the keypad with. 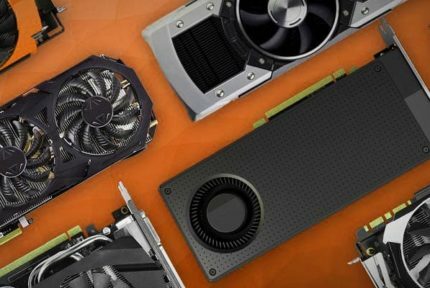 These products are most popular with FPS, MMO, and MOBA games. So, what should you look out for? If you play a lot of FPS or other action games, ergonomics should be your first priority. Your hand will spend a lot of time resting on the keypad, so it should not only feel comfortable but it should also allow you to reach all important keys quickly and easily. If you prefer MMOs or MOBAs, the primary application of a keypad here is allowing you to execute macros and specific abilities in a quick and simple manner. As such, the keypad should obviously have programmable keys or it won’t support command combinations via a single key press. Keep in mind that gaming keyboards and gaming mice with dedicated macro keys do exist, so they just might prove to be a better fit for your needs. In the end, if we had to choose one of these keypads, we’d go with the Razer Tartarus V2, and for all the reasons listed above. 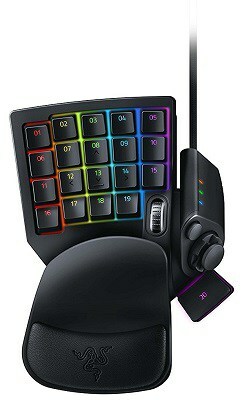 It is programmable, comfortable to use, the hybrid keys feel great, and it has great RGB lighting. Of course, it is also one pricey keypad, and if you’re looking for something more affordable, then the GameSir GK100 would be a viable alternative. 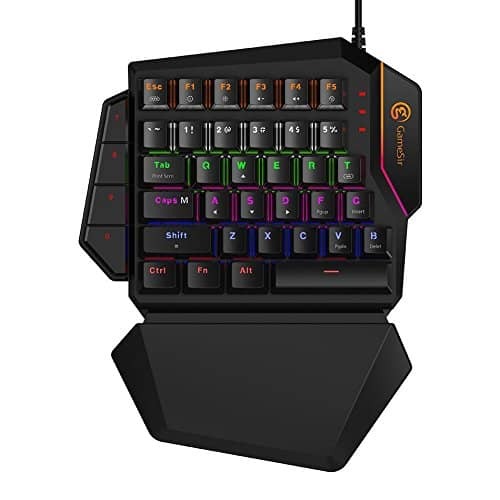 But needless to say, each of the gaming keypads listed here has its own advantages and disadvantages, so as long as you keep those in mind, you can’t go wrong with any of these products.